Do you love to spend time decorating your little plot of land with different garden ornaments? Then I am sure you have given a thought about garden water fountains as well. Most people who are interested in landscape designing deter from installing a fountain mostly because they have kids in the house. It is true that this garden ornament can pose danger for toddlers who are always running around the house and playing in the garden. And if you are one of them, I truly understand your problem. But being an expert in landscape designing, I can assure you that this issue can be solved. Want to know how? Read this blog for more information. The safety of your kids is one of the biggest concerns before installing fountains in your garden. A toddler can get drowned in just an inch of water or in a partly filled 5-gallon bucket. Thus most parents, grandparents are always fearful about garden fountains if they have kids in the house. But just because you have a kid in the house or have children visiting your garden it does not mean you cannot have a lovely water fountain enhancing the beauty of your yard. There are many ways by which you can enjoy the beauty of planter boxes and fountains in your garden while making it safe for your children. Never the less, always keep in mind that no garden fountain is 100% kid- safe. So, you should never keep your child unattended in shallow or even carefully designed water feature. 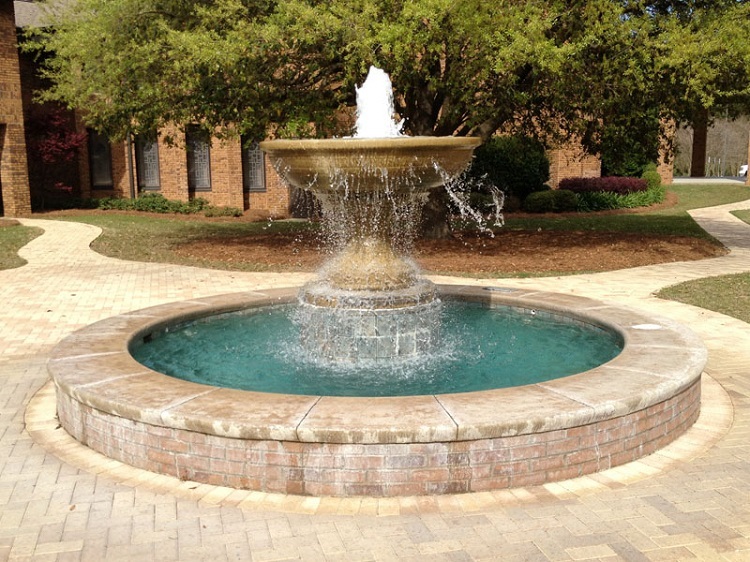 Keep in mind that the safety of your kid is also dependent on the type of garden fountain you choose to install. It is wise to consider the age of your child before you hit the store to buy the garden feature. This is because a fountain that is safe for kids aged between 5 to 8 may not be the same for a toddler. A three-tiered water fountain may look graceful in your enormous garden but it can be dangerous for your 3-year-old grandchild. 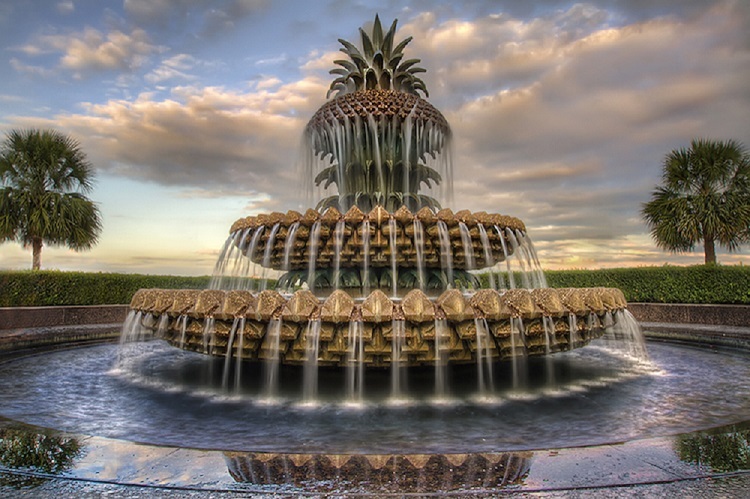 Also, pay attention to the details that you add to the fountains to make it look elegant. Things like flower plants and bright coloured fishes attract kids and lure them to go too near the water feature. These factors can even cause the best-behaved kid to stray away from rules of their parents. Make sure that your child and the kids who often visit your garden us aware of the rules with your fountains and it trained to stay away from it and enjoy it from a distance. If you want to ensure the maximum safety of your child in the garden, consider installing a fence around the water feature. Although this may seem as an impractical, unattractive or even an extreme measure, there are ways to handle this issue. Male sure the fence is child proof and has a locked gate that will only allow adults or children guided by their parents to get a closer view of the fountain. A picket fence can be a beautiful alternative which will add character to the fountain as well as protect your children from going near it. 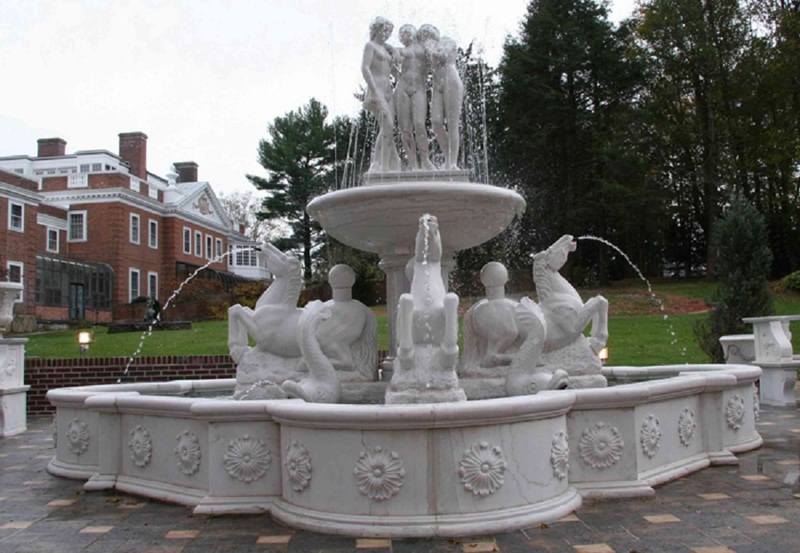 If you own a tier garden fountain, there is much you can do. Add a bottom tier that is too high for a toddler to get into and keep them safe. Another good idea is to control the depth of the water in the bottom pool. You can achieve this by placing decorative stones in the bottom of the pool so reduce the depth of the water. If these options do not suit your setting, you can opt for a wall fountain that can add beauty to your garden without posing much danger to your kids. The overall safety of your kids also depends on the location of your garden fountain. You can place the fountain in a place from where you can watch your kids playing around it. Make sure that the garden ornament is placed not too close to the house or too far away from it. The goal is to supervise your kids when they are near the garden ornament. So, fulfil you with now. Visit the nearest garden store and get a fountain for your backyard or lawn and utilise it to increase the curb value of your home. Author Bio –Elizabeth Jean is a landscape artist who loves to decorate gardens with Fountains Melbourne. Read this blog also to know more about planter boxes Melbourne.